my thesis project is set in my school's campus. i visited the campus today after many many months. to click a couple of snaps. there have been a lot of changes, as are bound to happen. more about the schools, colleges in the campus, about the campus and about my thesis coming up in the next few months. 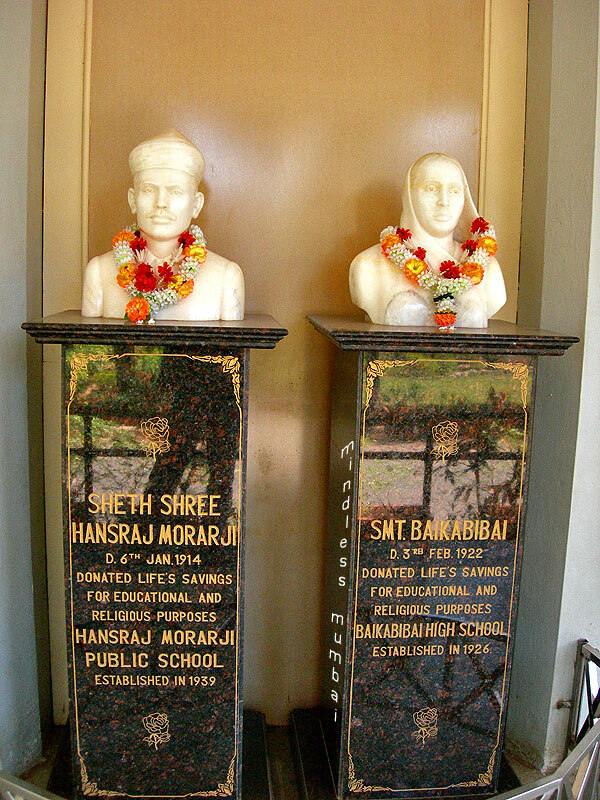 meanwhile here are the busts of the founders of my my high school, seth hansraj morarji and his wife bai kabibai. for some reason all our school literature referred to them as "our donors"; i think "our founders" will be a more appropriate title. Guess they wanted the word donor to let people know what they did. But a founder does sound better to me too. So many people do things for show but hey, it has helped a lot of people. Great post today! Loved reading it and learning and also your photo is really good! Our photo honours the heart and soul of the founders of your school. Nice one and good info also.